It took me a stupid long time to get the money over to SSPCA, but I finally did last week. The final total is RM900. 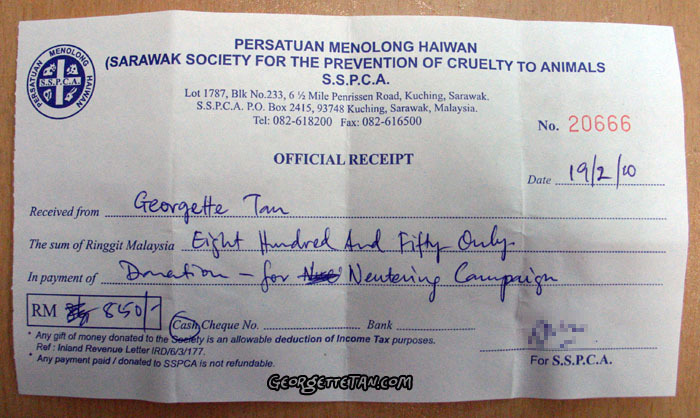 You’re seeing a RM850 above because the final RM50 is from Dona from SSPCA, who decided that she wanted to contribute. So there you go. My thanks to everyone who donated, participated in the auction and spread the word. Now that I finally got this off my plate, I can move on. Some of you may be wondering if we’re going bald this year! The answer is ‘yes’ and I’m looking forward to doing it again. However, I’m not sure if I’ll go all out collecting your money again this time. It’s mentally exhausting! 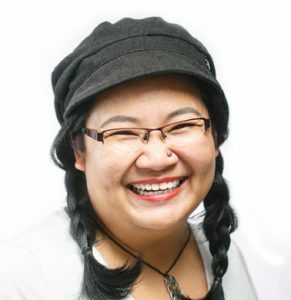 But we’ll see what the Sarawak Children’s Cancer Society have in mind this year. You have a couple of months to talk yourself into doing it if you’ve been looking for an excuse! hmm. i’m kinda tempted to go bald. considering how short i’ve cut my hair already, not a big step up anyway. just concerned how the father might take it. he’s already as appalled as it that his daughter’s got tatts, piercings, swears too much, drinks even more, and smokes like a chimney.